One batch actually enabled me to fill 3 x 18cm sandwich cake tins as well as a part of a loaf tin. If you’re a fan of cheesecake but have never tried Japanese cheesecake (chiizu keeki) before, all I can say is that you really don’t know what you’re missing. Japanese cheesecake is pure unadulterated pleasure – it’s soft, pillowy, creamy goodness – and what gives it its unique, velvety, gently cheesy creaminess is that it’s baked in a bain-marie (water bath) in a very low oven, making it super soft, super moist and super delicious. I still had extra batter left after filling 3 cake tins so I bunged the rest into a lined loaf tin. It also uses cake flour, which is quite hard to find in the UK, so I played around with the flour and corn flour quantities and am pleased to say that it turned out perfectly! 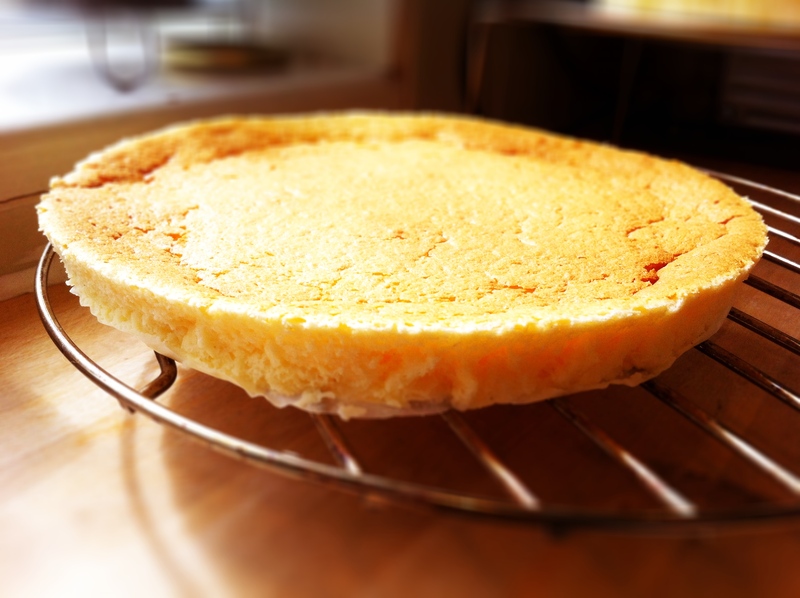 Other than tweaking the quantities of flour as a substitute for cake flour, I based the Japanese cheesecake recipe from a blog I found called Christine’s Recipes – it is a wonderful blog filled with a mix of Asian, Chinese and Western recipes. 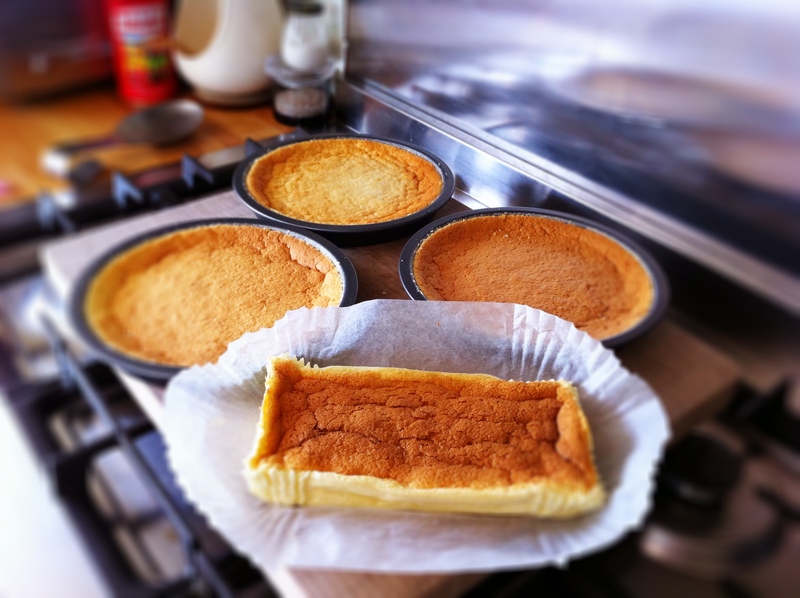 Japanese cheesecakes are normally baked taller than this but I used sandwich tins as I’m making a layer cake instead. However, as much as I love Japanese cheesecake on its own (BTW, it’s incredibly moreish! ), there have been times when I have wanted to give it a bit of ‘oomph!’ and so today’s recipe is the result of that. 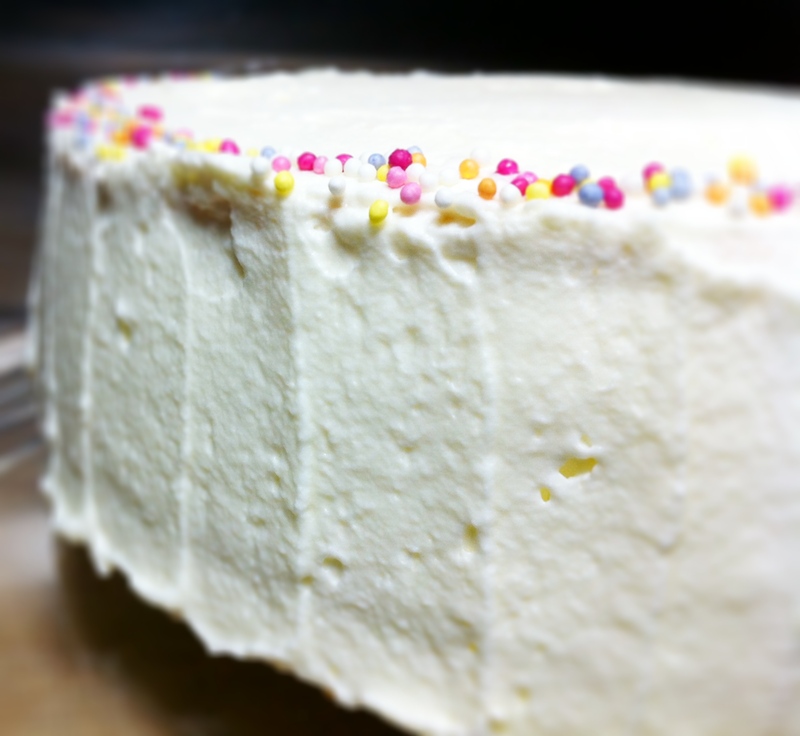 Underneath that frosting is more lightness – layers of japanese cheesecake and soft vanilla sponge. 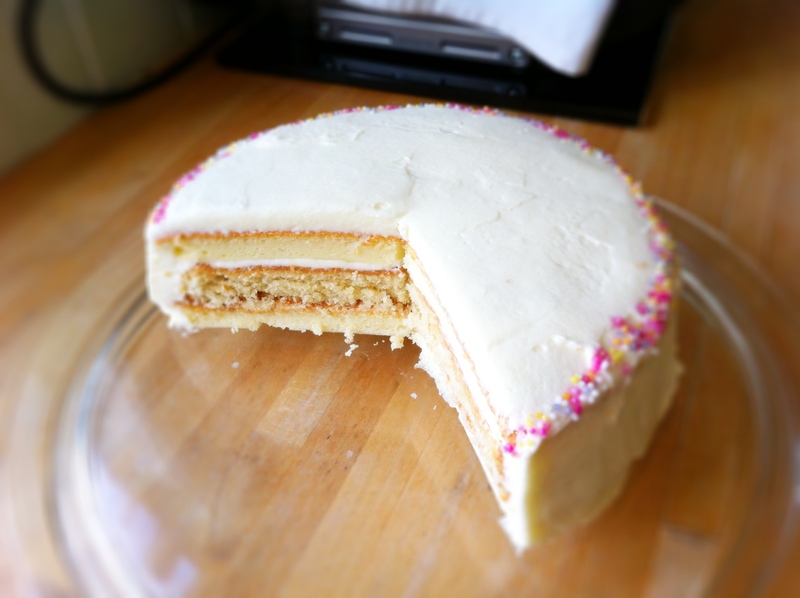 This Japanese cheesecake-inspired sponge layer cake is my very own creation, and something I’ve wanted to do for a while because I am planning a surprise party for a dear friend soon, and I wanted to create something that was different, that most people in the UK probably wouldn’t have eaten before, and something that looks celebratory and tastes divine. A frosting made with whipped cream keeps the ‘light’ theme going. How can I best describe this cake to you? Well, overwhelmingly, it is incredibly light! Japanese cheesecake is in itself really soft and fluffy but I didn’t just want to make a cheesecake, I wanted to make a cake, complete with scrummy frosting and all. Therefore, what I did was to make some Japanese cheesecake and some vanilla sponge, and created a layered cheesecake / sponge cake with a very, very light frosting using whipping cream, icing sugar and some lemon juice to keep the light theme going throughout. I road tested this recipe with some of my friends this weekend and I’m very pleased to say everyone loved it, so much so that my girlfriend went back for seconds! The top and bottom layers are made with Japanese cheesecake. 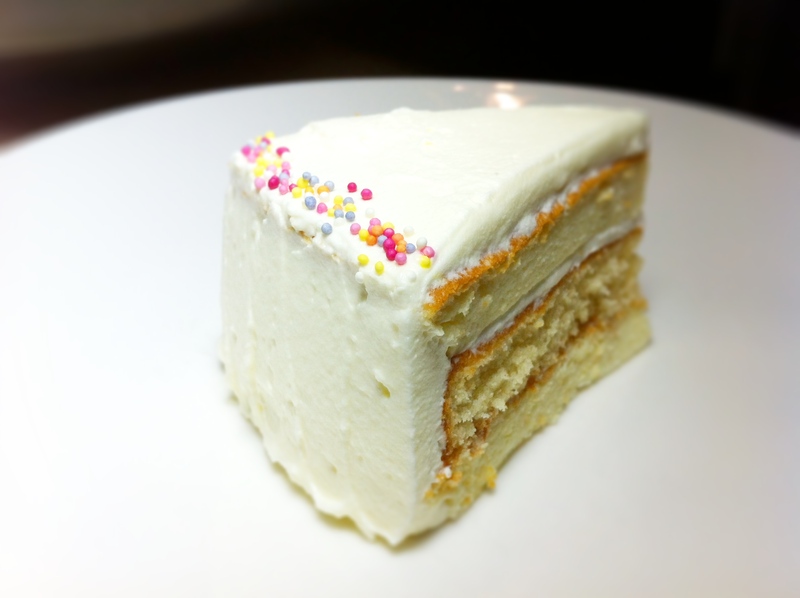 The middle layer is a light vanilla sponge. They’re all joined together and covered in a light, lemony whipped cream frosting. Cheesecake, sponge and whipped cream frosting. What’s not to love? A word of warning; because of the two different types of cake you have to make and the amount of cooling time required, you’re looking at a whole afternoon’s worth of baking but trust me, the end result really is worth it. I had to take most of my pictures at night, hence the darker shots. Start by making the Japanese cheesecake first, then the sponge cake and finally make the frosting when all the cakes have cooled. 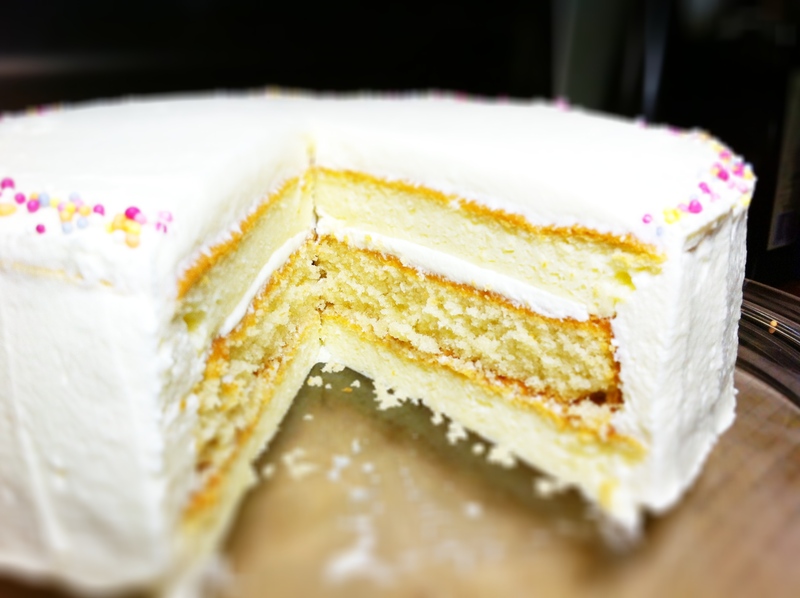 Because of the freshness of the ingredients and the whipped cream frosting, this cake is best eaten within 1-2 days if you’re not going to keep it in the fridge. In all honesty, we devoured this cake within 24 hours so I genuinely can’t tell you how long it would last for… :). 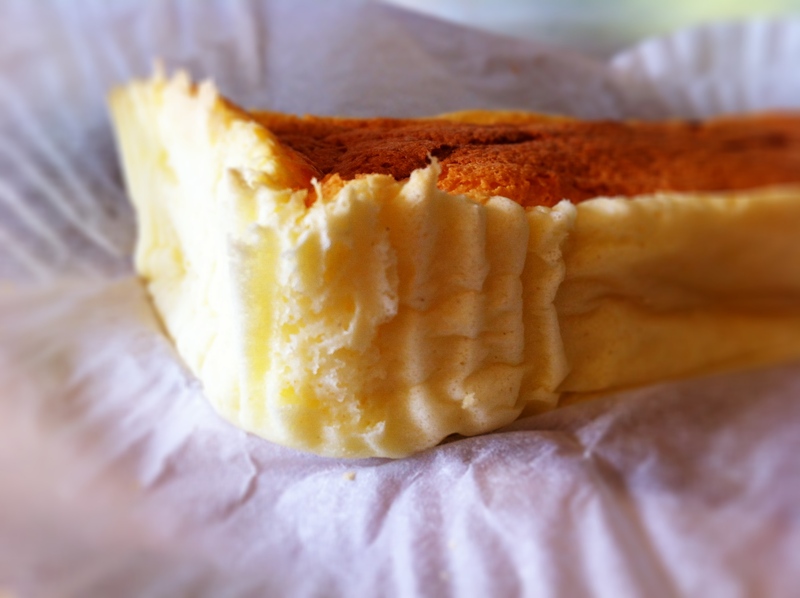 It’s actually a cake that tastes best when it’s been in the fridge – Japanese cheesecake is best eaten nicely chilled. I wasn’t happy with all the night shots so took this the next day before we ate the rest with friends. Wow, that is really pretty! Well done. The cake looks absolutely wonderful. I wish I had someone to make it for my birthday next month. This is an incredible creation! I can just imagine the oohs and aahs when you brought it out and cut into it. And then, deathly silence as everyone ate.You know it’s good when all talking stops cold. I thought it was the same but after some online research, I realised it’s not. You can turn all-purpose flour into cake flour by replacing some of the flour with corn flour instead. The exact measurements should be 1 cup all-purpose to which you remove 1 tablespoon of flour and replace it with cornflour instead. I don’t work to cup measures so simply put less flour an more corn flour and it seemed to work just fine. That looks amazing. Love the idea of using layers from 2 different kinds of cakes. Also – glad you were able to successfully replicate cake flour . . .isn’t it funny how certain ingredients we take for granted aren’t widely available? 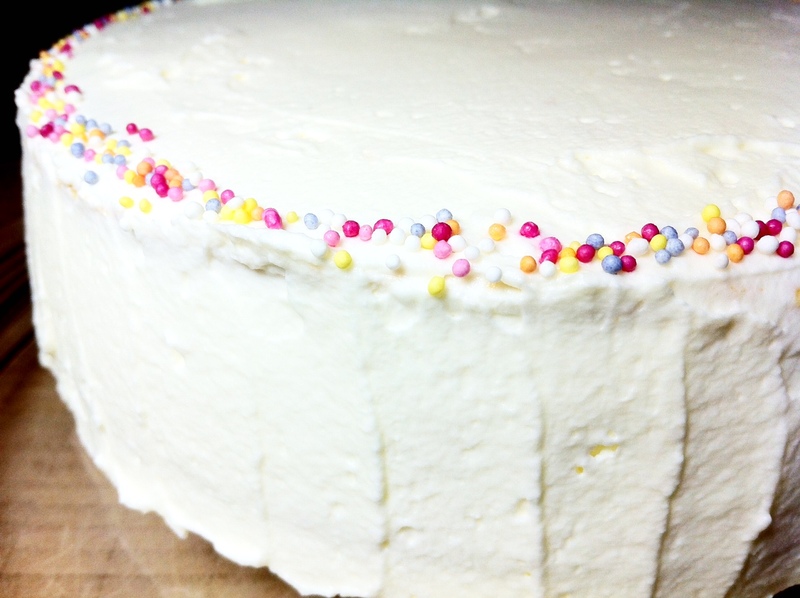 Cake flour is one of them for me – can’t imagine why it isn’t available in the UK. 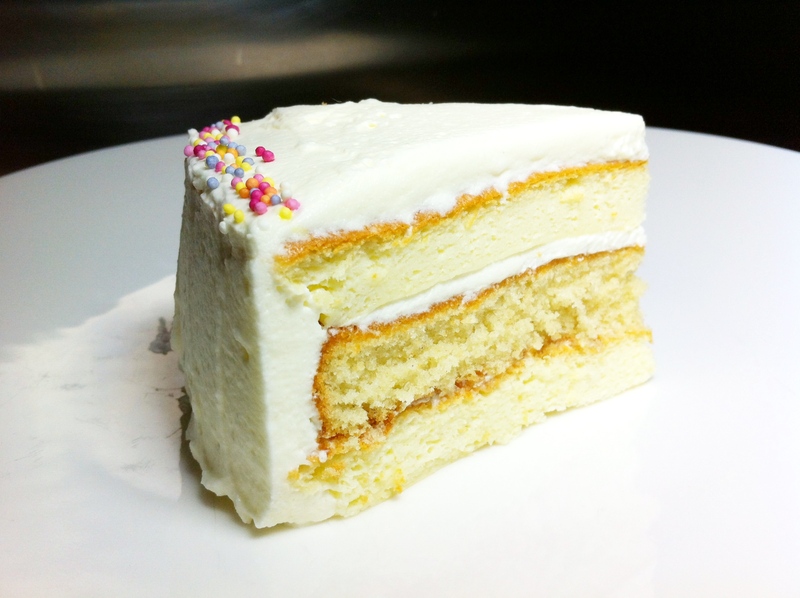 Your layer cake looks perfect! So delicate and pretty, too. 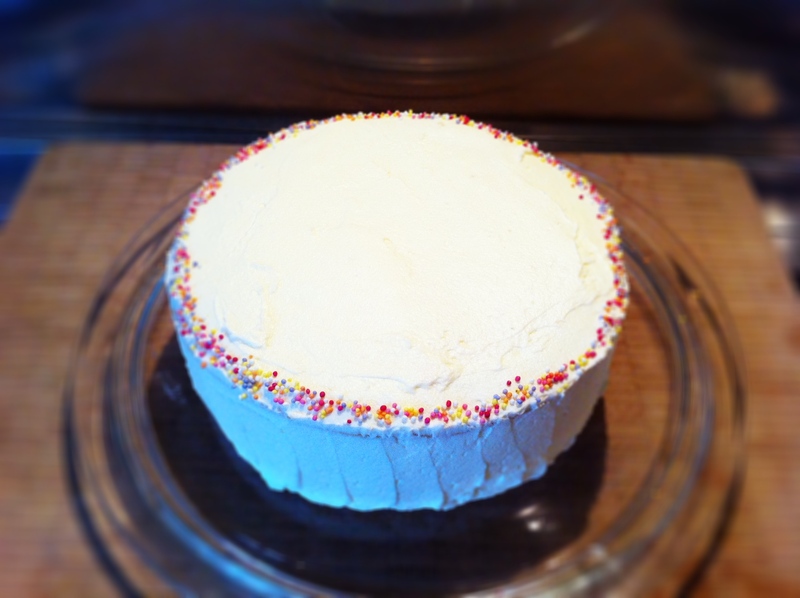 yum yum yum – this really is as good as it looks, I’ve just eaten a huge slice!